It was long suspected that more users were searching and using websites on mobiles, long before Google released the official results 2015. So if you still do not have a mobile responsive website or even a site that is intuitive for mobile users you are missing out. Many businesses have a responsive site as something that they would like to get, maybe sometime in the future. 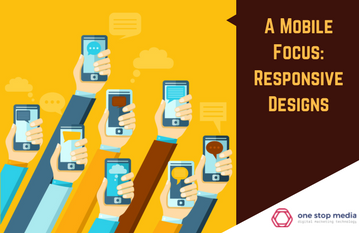 Even when getting a new design or development most consider mobile users as an afterthought. Often long after the initial designs are created. However, some recent trends demonstrate how important mobiles can be for Australian businesses. Over 80% of Australians have at least one mobile smart device, with at least 15 million devices in active use. Collectively Australians between the ages of 18 – 75, glanced at their device more than 440 million times a day. On average they look at their smart device more than 30 times a day, with younger generations increasing to over 50 times a day. They are serious multitaskers browsing the internet when using public transport, out shopping and at work. Over 80% of Australian will use their mobile phone to research purchases, with 63% then making an online purchase. With these figures it is very clear that not only are mobile devices massive influencers on Australian’s browsing behaviour, they are also here to stay. As a web development company based in Melbourne, we understand Australian consumer trends. We believe mobile users are so important to the success of a business that we are now recommending adopting a mobile first approach. So truly who cares where the develop starts as long as they all work right? Unfortunately, the truth is slightly more complicated. While converting can be done later, it frequently comes with a range of problems. Instead, the best tactic is to think about the mobile user at the conception of your development project. Adopting a mobile first approach provides a range of benefits and in our experience, as website developers, we have compiled a few of the most important reasons. Mobile Users need to be engaged. – Unfortunately for many businesses, during the process of creating a website, they forget all about the mobile users. When a developer prompts them about responsive design, they then simply translate everything from the desktop site into a mobile version. The problem occurs primarily due to the different behaviours between desktop browsers and mobile viewers. Desktop browsers tend to look at the entire site in one go, choosing where to go after reading snippets. Mobile users, however, tend to simply scroll through a site, spending far less time and reading significantly less.Not only does this mean you have less time to sell your brand to mobile viewers, it also means your content needs to be eye-catching enough to stop them from scrolling. Unfortunately, most responsive desktops simply are not designed for mobile engagement and their downsized sites are boring. Even what little engaging elements the desktop had, like service picture links, are lost in favour of easier, boring button designs. There’s Too Much Stuff – Too many companies attempt to cram everything that was on their website onto their mobile site. Simply turning the entire site into a scrollable version and cramming all the same features. However while our developers can and have turned most features into mobile versions or found appropriate alternatives, sometimes it simply isn’t needed. While a feature or element on a website can be a great addition, remembering the difference in mobile and desktop browsers can be key to successful implementation. Your mobile viewers already have short attention spans, cluttering up their view is a quick way to create a negative user experience.Sometimes due to the nature of the platform, some desktop features are simply not needed on mobile devices. Instead, the focus should be on more relevant features, like interactive CTAs, social app integration and specialised mobile payment or checkout systems. Focusing on mobile designs based on user context drives development projects in a way that is more intuitive and engaging for those users which make up a significant browser base. Easier and Cheaper developments. – With mobile first developments, it has become easier to focus simply on your mobile users. Not only will the majority of your viewers find your site more intuitive, you will be putting your best face forward with these future customers. It focuses on delivering amazing mobile device experiences that work perfectly. The user’s ability to engage and interact is considered first, at the centre of your online development project. Larger desktop sites are then gradually enhanced as the site resolutions grow bigger. As needed, they can also be completely rethought for larger platforms with far fewer constraints compared to the opposite process. Build Better Digital Reputations. – While we have talked about mobile developments from a user perspective, it is also beneficial to consider what an intuitive and engaging mobile experience can do for your digital reputation. Not only will users keep coming back to your website if it is an enjoyable experience; online digital authorities like Facebook and Google actually prefer businesses to have specially designed mobile sites. With Google releasing their open-source accelerated mobile project, they specifically target websites equipped with AMP and rank them higher than their competitors. Facebook uses similar tactics with their instant articles and it is astonishing how big an impact this can have on your search engine rankings, traffic and return users. So with all these benefits are there any limitations to designing mobile sites first? Mobile first designs are great for new projects, however, they are also a challenge for existing websites. Creating a downsized responsive design is a better alternative for these sites and perhaps pencilling in a future project to create a mobile first online site. Another challenge to consider is who your users are, and why you are designing a mobile interface for them. If you are simply building to match industry trends then it might be a wasted investment. If your customers are not using mobile then the next question is to ask why. While many users would naturally adopt a great mobile interface, maybe building you a competitive edge, it depends on your business. A work related site or intranet might never gain the right kind of traffic and engagement to justify the investment. Whatever your industry, the potential of mobile is limitless. If you are thinking about integrating mobile features into your business’ digital presence talk to us today. From AMP sites through to responsive designs and mobile apps that drive customer engagement, as a full-service digital agency, we can help.